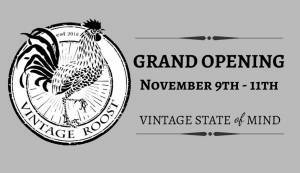 The Vintage Roost, a new recurring weekend-long vintage market, is set to take over 2326 East 7th Avenue every 2nd and 4th weekend of each month. The 5,000 square foot market will feature 18 vendors, running from 9am-8pm on Fridays, and 9am-5pm on Saturdays and Sundays. Click here to read the full story on That’s So Tampa.